Here at Logan Home Energy Services, our skilled technicians can diagnose your air conditioning system and provide the right services to prolong the life of your cooling system and keep your home comfortable. We can fix, replace or install any kind of cooling system from small residential mini-split systems to high-efficiency central air conditioners for commercial buildings. To schedule your air conditioning system inspection and tune-up, call us today! We also provide free, up-front estimates for air conditioning replacement and installation in Greensboro, Winston Salem, High Point and throughout North Carolina. Proper maintenance and regular service keep your air conditioner running efficiently and can save you money by preventing the need for expensive repairs and prolonging the life of your system. The best time to service your air conditioner is before you actually need it. We install air conditioning systems from leading manufacturers, as well as exclusive warranties and energy rebates. Options include a full line of high-efficiency ductless air conditioners that can fit your needs for space and comfort while providing the convenience of a wireless remote. Ductless HVAC systems are available for both residential and commercial use. In order to ensure that your cooling unit is working to its maximum efficiency, the right kind of fan coil and evaporator is essential. Carrier® provides fan and evaporator coils manufactured for durability and consistent performance for every unit. 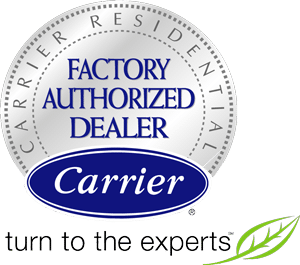 Carrier® also offers Comfort series and Performance series packaged air conditioner systems that are the economic choice for an all-in-one HVAC system. There are many reasons why your home isn't as comfortable as it could be. Here at Logan Home Energy Services, we're much more than just an HVAC contractor. Fill out our simple online form to request an estimate for the air conditioning services you need. We service Kernersville, Clemmons, Lewisville, Pfafftown, Oak Ridge, Walkertown, Colfax and many surrounding areas.